Following articles are retracted from the journal. These articles were found to be plagiarized and were authored by Rajesh Veljibhai Chavda et al. We had received an email from the original author of one of the article plagiarized by this group. After the in-house inquiry by editors of the journal it was concluded that indeed the article was plagiarized. Email was sent to the corresponding author for explanation but we have received no answer in given time. Out of suspicious we critically look at the other articles published by author in our journal and it was found that two more articles was also plagiarized. We are retracting all three articles and ban all these authors for submitting any manuscript in this journal in future. 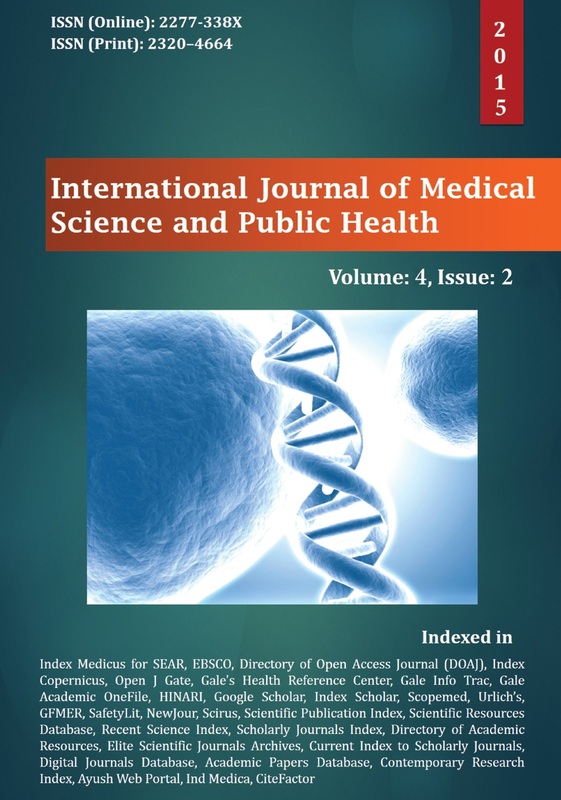 The International Journal of Medical Science and Public Health is not indexed by Thomson Reuters Web of Science. It was fairly easy for us to find the original papers the three retracted papers plagiarized from — we simply put the titles into Google, and a nearly identical title from a previously published paper appeared. Post-traumatic flexion contractures of the elbow release via limited lateral approach, by Rajesh Valjibhai Chawda, Dhiraj Valjibhai Chawda, Yogita Haribhai Kataria, was published in 2014. The original paper appears to be “Post-traumatic flexion contractures of the elbow: Operative treatment via the limited lateral approach,” published in Journal of Orthopedic Surgery and Research in 2008.
published in International Orthopedics in 2010. Post-amputation rehabilitation in an emergency crisis: From preoperative to the community by Rajesh Valjibhai Chawda, Yogita Haribhai Kataria. 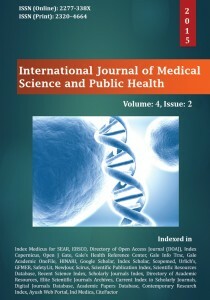 Int J Med Sci Public Health 2014;3:465-467. We suspect the original is “Post-amputation rehabilitation in an emergency crisis: from preoperative to the community,” published in International Orthopedics in 2012. The journal [did not have] the software for the plagiarism check. Once we got the software we scan randomly and found one article plagiarized by the author. Afterwards we can scanned all articles published by the same author. After getting confirmation author was sent a email for explanation but we got no response after multiple emails. Finally based on the available articles and no explanation of author we retracted all articles published by author and banned the author for publication in the journal. Charan confirmed to us that all eight authors were banned, not just the first author. We’re reached out to Rajesh Valjibhai Chawda, and we’ll update this post with anything else we learn. The journal [did not have] the software for the plagiarism check. So the cheater got cheated. Nice. How was the journal cheated? The editors keep the publication charge. Another plagiarized paper from the same authors: “Excellent early outcome after total hip arthroplasty” (2014) (http://journalijar.com/uploads/185_IJAR-2884.pdf) is a copy of “Predictors of excellent early outcome after total hip arthroplasty” (2012) (http://josr-online.biomedcentral.com/articles/10.1186/1749-799X-7-13) by Smith et al. “Distal radius fractures with diaphyseal involvement: fixation with fixed angle volar plate” (J Orthop Traumatol. 137–143, 2011) by Rampoldi et al. Next maybe they could correct the left-handed DNA on the cover! Does the journal plan to systematically screen all other published papers for textual plagiarism?